What Are Wheel Lug Nuts? A wheel lug nut is a type of fastener where one end (the seat) is rounded or tapered, but in different types and sizes. Lug nuts fasten a wheel’s hub to threaded wheel studs on the vehicle’s axle, securing the wheel in place and centering it properly on the axle. The lug is placed onto the wheel stud atop the wheel, with the lug’s seat in contact with the hub. 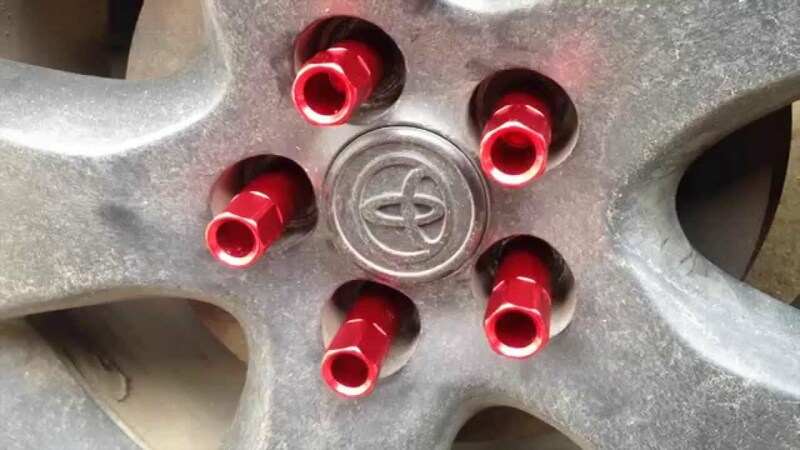 Usually, wheel lug nuts can be made either by steel forging or aluminum forging. Steel forged lug nuts for car wheel application should be chrome-plated to improve its corrosion resistance. 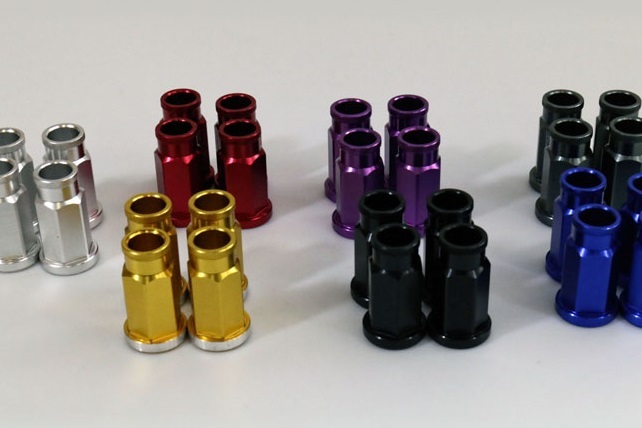 But aluminum forged lug nuts are more popular and widely used for the light weight while good strength. The particular size and model of lug nuts needed depends on the car model and the axle it uses. The correct lug nut seat depends on the wheel itself. Conical/tapered lug nuts are most common, but ball/radius and flat-seat lugs are also in common use. While aftermarket wheels are often designed to match OEM lugs for a vehicle, some require a new set to make a proper fit. Stripped or damaged lug nuts can make removing a wheel very difficult and should be replaced when needed. Many newer vehicles are equipped with a locking lug nut that requires a wheel lock tool to be used when removing lug nuts. In some cases, there may be one locking lug per wheel. The wheel lock key should be kept in a convenient place in your vehicle such as in the glove box or with other spare tire tools. For more than 20 years, CFS Forge has specialized in manufacturing of drop forgings at the highest standards for precision, durability and strength. Our forging process can be used for steel, aluminum and copper alloys, so that we can meet various forging demands for our customers. Equipped with most advanced forging and machining equipments,. CFS' automated forging process enables our company to control production times effectively while maintaining exceptionally high levels of quality and precision. Of course, good quality still replies on the quality control of our engineering team. In CFS Forge, we have an individual quality control department that checking the quality in each production process, which makes us to guarantee the quality for our customers. Our mission is to become the most highly respected and efficient aluminum forging company in China. Another advantage is that our company is located in Ningbo city, which is the second largest habour city in China. So, if ordering aluminum forged wheel lug nuts from our company in China, our customers can enjoy convenient water transportation with less shipping cost, which is really cost effective especially for high volume lug nuts. No matter you need forging, machining or anodizing, CFS Company in China can all meet your demands. Would like to purchase aluminum forged wheel lug nuts or other aluminum forgings for automotive application from China? Pls contact us right now!